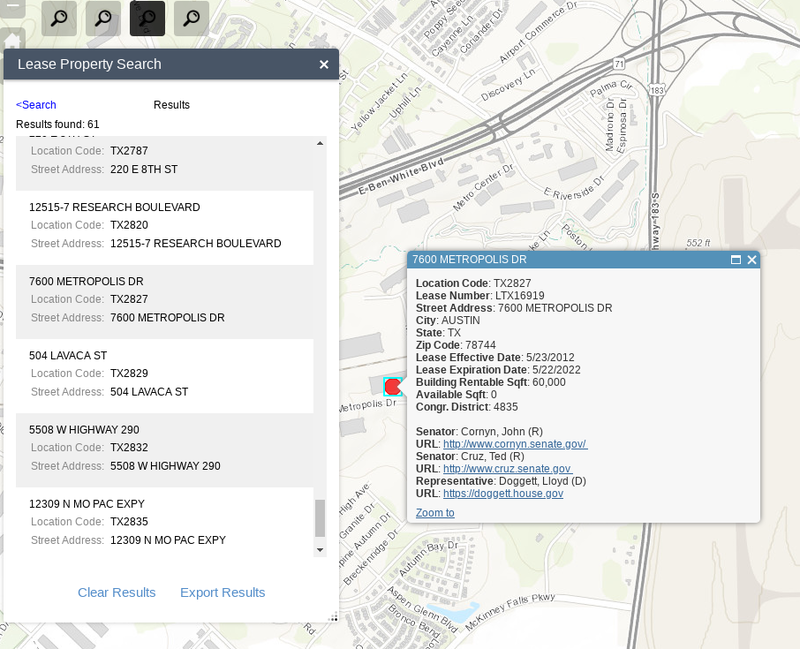 You can search the inventory by city, city/state, and Congressional district, among others. Most cities these days put their property records online. Austin's are available at http://www.austintexas.gov/GIS/PropertyProfile/. You can search Google Maps or the website of the organization in question to find the address, and then search the city property records system for that address. If the address is owned by someone else besides the organization in question, then it's safe to say that they are renting or leasing. Note that property investors frequently make LLCs just to be the legal owner of a particular property, but large organizations generally don't. Not the answer you're looking for? Browse other questions tagged data.gov or ask your own question. Where is the data I need to fully understand federal revenue and their budget? How does the U.S. government prioritize open data gathering?